I’ve finally managed to get everything working (I think) with the latest Amazon Linux Update. However because I was working on a backup virtual server until I got the problems fixed I’ve decided it is simplest just to put the backup online rather than repeat the procedure. As a result the blog has reverted to yesterday. I can restore the missing posts and hopefully will shortly. UPDATE: The squonk.tk server is currently running on an alternative low cost VPS to Amazon. I switched it over for a bit to see how it performed – the answer was so well that I’m leaving it there for the time being for an extended test. I can still switch back to Amazon if needed. Way back in 1981 millions of tv viewers were shocked by the final scene of Blake’s 7 (seen here in dodgy VCR copy). Three decades later we finally find out what happened next! 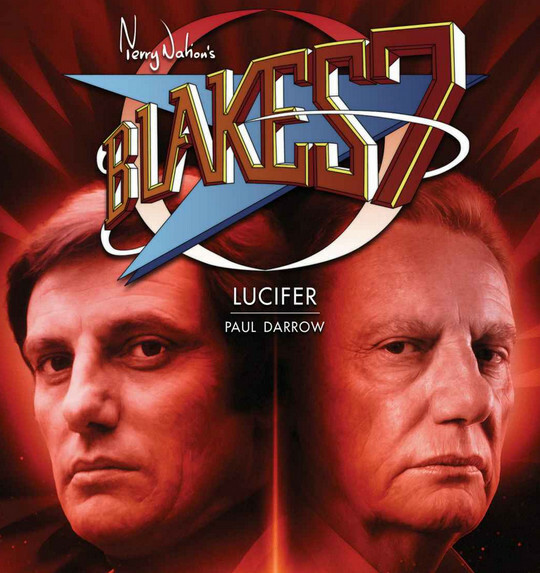 Written by Paul Darrow, who played Avon and set 20 years after the final scene, some professional reviewers didn’t like this book but it has 4.5/5 stars on Amazon from customer reviews and I think that’s deserved. I loved this show. No not for the scientific accuracy – it never scored highly on that and neither does the book but who cares – Avon and Servalan are in it! And fans of the series should also check out the Audio Play Warship which reunites the original cast. Warship’s author is Peter Angelhides who was a contemporary of Craig Murray’s at Dundee University. 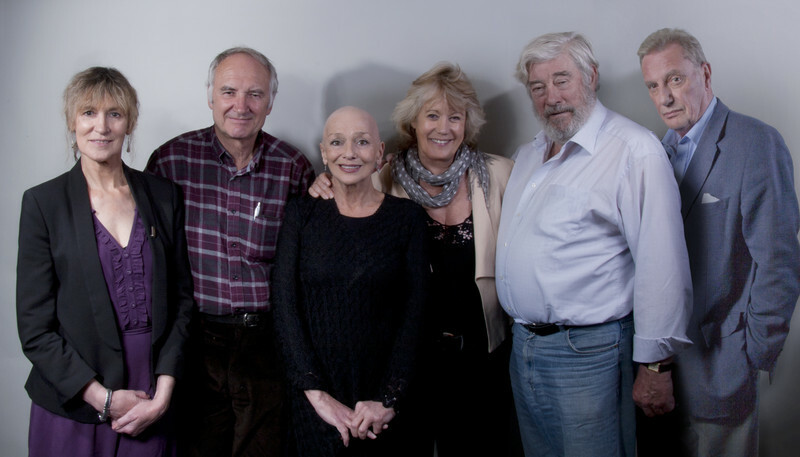 In this reunion photograph Jacqueline Pearce (Servalan) was recovering from cancer treatment thus the lack of hair even by Servalan standards. As the more observant may have noticed, I’ve obtained a free 90 day real security certificate for squonk and switched the blog over to secure access by default. As everything on the blog is public it isn’t really needed other than to protect administrative access but it does protect poster email addresses from plain-text sniffing so I might as well turn it on for all. I can extend the 90 day cert to a full year for only a few dollars through selected Comodo resellers. I had no idea such cheap certs were available now until recently and if every website had one it could only be good for internet security. The only difference you should see is https in the URL field and a browser padlock symbol indicating you have an encrypted, secure connection to squonk.tk – Let me know if anyone has a problem. I’ll also be turning on again soon some cache features that had problems with mixing http and https sessions. Shouldn’t be a problem with all connections being https now but again if anyone sees any problems with stale pages let me know. 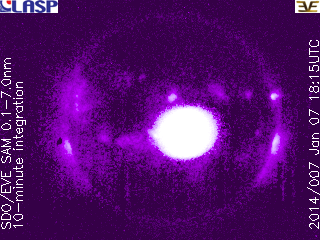 Another X class solar flare. Radio – Wide area blackout of HF (high frequency) radio communication for about an hour. No Don’t Panic but this is another sign the Sun is acting more like it should do at Solar Max. UPDATE: SEVERE MAGNETIC STORM PREDICTED! As Sunspot Groups 1943/1944 are almost directly Earth facing any associated CME will likely be Earth directed. No it won’t fry the grids but we might have some Aurora activity in a couple of days. EDIT: Updated with Imagery from STEREO Ahead (on the opposite side of the Sun from the Earth). 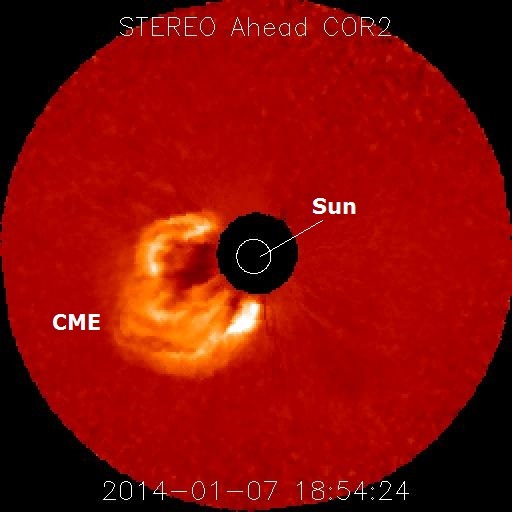 …severe (G3-strong) storm levels are expected early on day two (09 Jan) in response to the arrival of the 07 Jan CME. Day three (10 Jan) is likely to start out at major (G2-moderate) to severe (G3-strong) storm levels, decreasing to minor storm levels (G1-Minor) by midday before returning to unsettled conditions as CME effects begin to subside.